Read-Only Memory is part of a series of works about John von Neumann's brain. 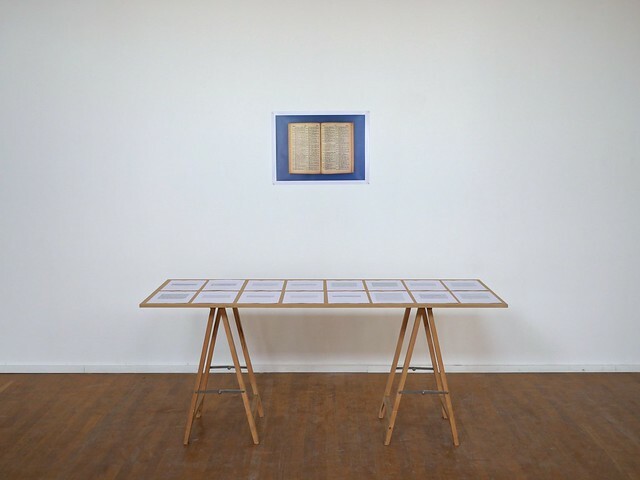 The works are based on a collection of citations amassed over the years, excerpts from a diversity of books and publications that make biographical reference to his superhuman feats of calculation and recall, and other related eccentricities. Von Neumann was often referred to as 'the greatest brain of the 20th century' and was known for his pioneering cross-disciplinary work on computers, quantum mechanics, mathematics, game theory, neuroscience, weather modification and the atomic bomb. 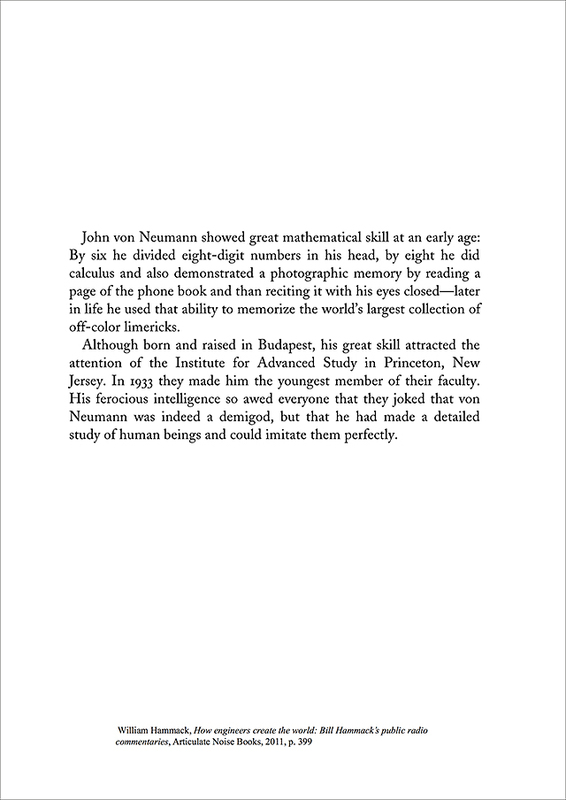 In 1958, 'The Computer and the Brain' was posthumously published, a curious book where Von Neumann speculates on a series of logical analogies between computing machines and the human brain. The authors of the citations seem to take this at face value, and despite the rigor found elsewhere in their texts, tend to lapse into the same stories told and retold, to fall back on familiar and yet wondrous anecdotes, basking in the repetitious comfort of myth. 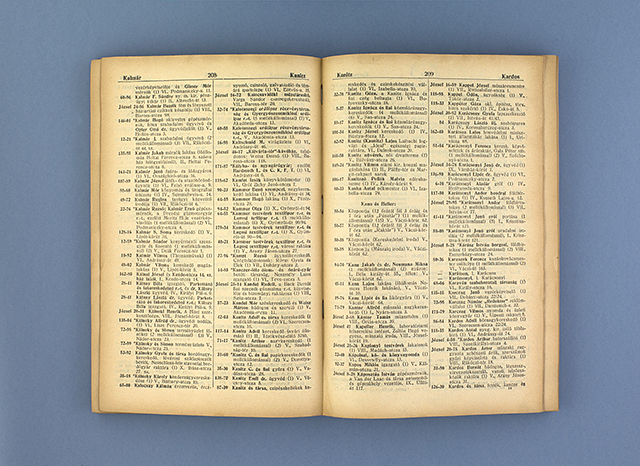 One such story is recounted dozens of times, Von Neumann as a young prodigy with a photographic memory manifesting itself via a party trick where he would be invited to open a phone book for a few seconds and then could recall verbatim the list of all the names and addresses. Read-Only Memory is composed of a selection of these citations and also does a little archeological leg-work, laboriously tracking down the rare telephone directory in question, and literalizing this eidetic legend as a photographic document. Many thanks to Gabriella Benkö, Christian Genty, Gabor Zsolt and especially Stéphanie Solinas.